Founded in September 2008, artnewscafe bulletin is one of the oldest and long-term projects of Open Arts Foundation. It is structured as a monthly art guide and a platform for in-depth articles, reviews and interviews specializing in contemporary art. As one of its main features since the beginning, the monthly art guide offers a selection of exhibitions and events in several sections: local news, on the Balkans, around the world, art career and art talks. The bulletin art guide is published every month on artnewscafe bulletin website, distributed as a newsletter and is also available as a free to download booklet and a free mobile application for android and iOS. In 2015, artnewscafe bulletin grows into an online platform for young authors and art critics and covers many shows, events and artists of the local and international contemporary art scene. The newly created magazine publishes articles in sections such as ‘art review’ (reviews of new shows), ‘interview’ (with artists, curators and collectors), ‘reflections’ (analysis and investigations on important subjects in the contemporary art world) and ‘collectors forum’ (the only column in Bulgaria focused on the contemporary art collectors worldwide). 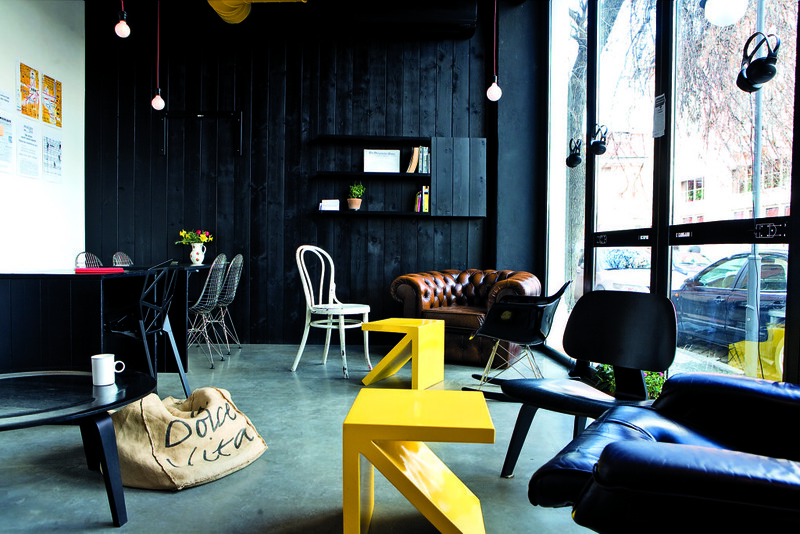 The bulletin is named after artnewscafe, the first coffee shop in Plovdiv with a library offering access to a variety of international art magazines and publications such as Artforum, Freeze, Art Review and many others. Situated just next to SARIEV Contemporary gallery, artnewscafe rapidly becomes a busy meeting spot for young artists, creatives and free-lancers. 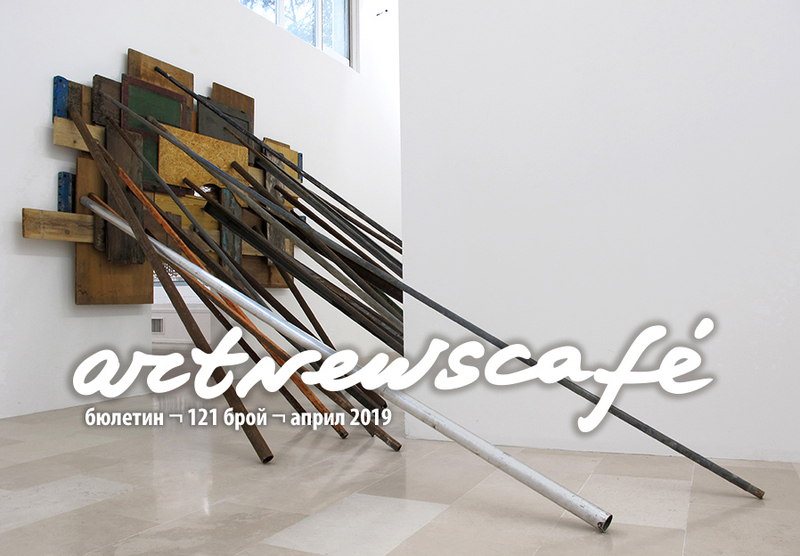 artnewscafe bulletin was created in 2008, initially with an informative purpose, selecting and listing art shows, events and open calls in Bulgaria and around the world. Between 2010 and 2013, the bulletin, supported by the foundation America for Bulgaria and the National Fund for Culture, starts to print its monthly selections and to distribute them in several Bulgarian cities – Sofia, Plovdiv, Varna, Bourgas, Rousse and Veliko Tarnovo. The printed edition is designed by Studio Punkt and an original cover devoted to the work of a single artist is added to every edition. In 2013, for its 50th edition, artnewscafe bulletin receives as a gift its own mobile application for android and iPhone. Designed and built by Ivan Djeferov, Georgi Apostolov, Iva Nedeleva and 3web.bg, the application is free to download and use. It offers quick and easy access to every show and event listed in the bulletin monthly art guide, a personalized list for favorite exhibitions and the possibility to access old editions. In 2015, receiving the continuous support of the National Fund for Culture, artnewscafe bulletin evolves as a platform for critic literature in the contemporary art field open to young critics and art historians. Every year, a new team of authors joins the bulletin, selected through an open call (August – September). Editor-in-chief of artnewscafe bulletin, since its first years, is Svetla Petkova. Current editor in charge of the monthly art guide is Desislava Mileva. They both work with a team of three young authors – Boyana Djikova, Desislava Madanska and Lora Atanasova.